I have been thinking of adding a Thursday blog for awhile now. I just thought that it would be an opportunity to get more great recipes and reviews to all of you guys. One of my recipes, Brussels Sprouts, was made and reviewed on another blog the other day. It was given rave reviews, so much so that I have been getting questions about other vegetables that don’t have the greatest flavor. I thought this was an awesome opportunity to start off the new blogging day! I’m starting this vegetable series off with cauliflower. 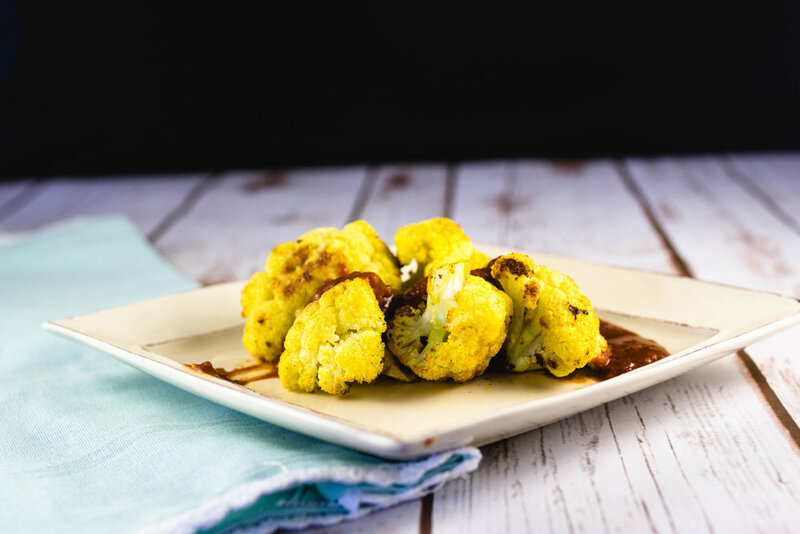 Cauliflower can be really bitter but is used by many people as a meat substitute because of its meaty texture. I know a lot of people who use cauliflower as a steak. I think that’s really cool, you can get so many flavors out of it. I decided the best way to get rid of that flavor is turning it into a ‘currywurst.’ Well, it wouldn’t really be a wurst, but it would be a curryflower. 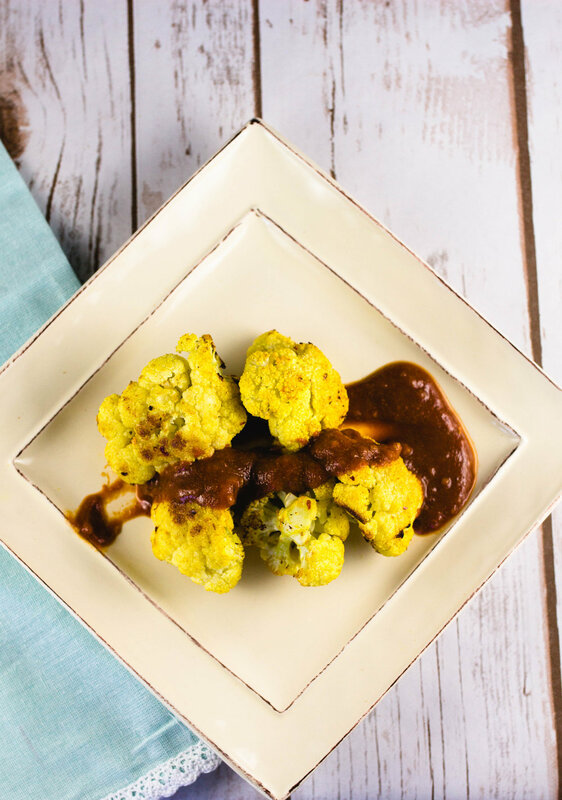 The rich and deep curry sauce of this popular German street food is perfect to get rid of some of the bitterness of cauliflower. Plus if you crisp up the cauliflower in the oven, it’s almost like fries, which is how I used to eat my curry sauce when I worked for a German place. I decided to toss the cauliflower with some curry powder as well, the deep savory flavors taste so amazing on the cauliflower. Do you have a vegetable that you want to be transformed? Email me at krysten@momnoms.net for a chance to be featured on this blog!